A major Taiwan government defense report, the “2017 Quadrennial Defense Review” (QDR), says that China’s accelerated military development and recent activity by its military aircraft and ships around Taiwan pose an increased threat to the self-ruled island. This is the third QDR published by Taiwan, with the first two published in 2009 and 2013, respectively. [If China invades, Taiwan will] resist enemy troops at their home bases, strike them at sea, destroy them as they approach Taiwan’s coastlines and annihilate them on the beaches. No matter how the situation on the island may evolve, the fraternal bond between the two sides cannot be severed and will not be able to change history or the fact that both sides belong to one and the same China. The “multi-deterrence” strategy aims to force the enemy into multi-dilemmas. As ambitious as it is, it has almost no actual military value. With the development of military strength on the Chinese mainland, the will of Taiwan’s military to confront their mainland counterparts has almost collapsed. 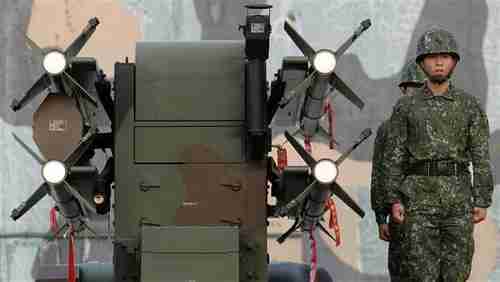 No soldiers believe Taiwan forces are capable to defend the island if the People’s Liberation Army (PLA) launches a comprehensive offensive against Taiwan. The new QDR claims that the PLA is capable of seizing Taiwan’s offshore islands. But isn’t it an easy thing for the PLA to seize the whole island of Taiwan? Taiwan has taken deterring the mainland as a key strategy, and constantly changed its deterrence tactics. But there is no need for the island to deter the mainland, as the mainland cherishes peace and won’t resort to force unless it’s absolutely necessary. If Taiwan is controlled by radial pro-independence forces, Taiwan’s military, even with the help of the main US military forces, will not be able to deter the mainland. Therefore, the most important thing for Taiwan is not to provoke the one-China policy. This is the correct political way to protect the island’s security. The last paragraph refers to China’s “anti-secession law,” which China passed in 2005. The law says that China will invade Taiwan even if there’s no more than talk of independence. 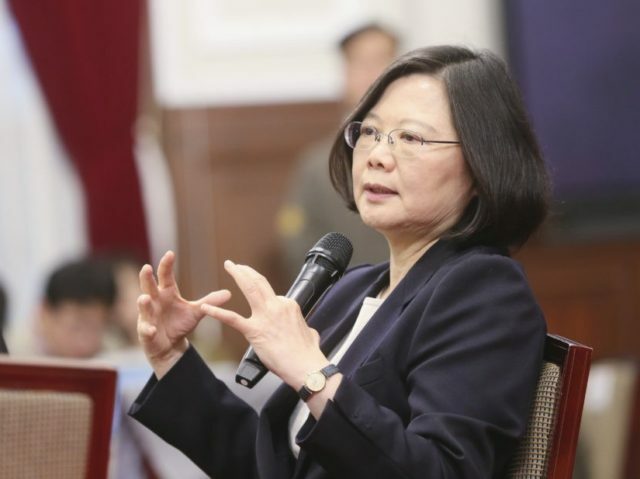 Last year’s election of Taiwan’s president Tsai Ing-wen, of the Democratic Progressive Party that has historically favored independence, and then last year’s phone call between Tsai and candidate Donald Trump have enormously increased tensions. Arguably, the necessary conditions to trigger the anti-secession law have already occurred. Taiwan’s government responded to China’s threats, but the response was just as delusional. Taiwan’s Lt. Gen. Chiang Chen-chung noted that the Chinese army base closet to Taiwan under China’s Eastern Theater Command is only 250 kilometers away from the coastline of Taiwan, with the most distant 1,380 km away from Taiwan. Chiang said that China’s military had the ability to strike China’s army bases with missiles. The implication was that China wouldn’t attack Taiwan, because that would risk having their bases attacked. A Chinese Communist Party official is being quoted by Chinese media as saying that China will begin building permanent structures in the Scarborough Shoal and other South China Sea islands, and that this work will be one of the government’s top priorities in 2017. Last year, the United Nations Permanent Court of Arbitration handed China a humiliating defeat by declaring its activities in the South China Sea to be illegal. Nonetheless, China has continued annexing other countries’ regions and building illegal artificial islands and military bases. Last year, President Barack Obama warned China’s President Xi Jinping last year against building an artificial island at Scarborough Shoal. A Chinese military base on Scarborough Shoal would put Chinese fighter jets and missiles within easy striking distance of US forces that are stationed in the Philippines, as well as the Philippines’ own forces. The shoal also commands the northeast exit of the sea, so a Chinese military outpost there could stop other countries’ navies from traveling through the South China Sea. Well, to nobody’s real surprise, China is now preparing to build an “environment monitoring station” on Scarborough Shoal. And nobody really believes that it’s purpose is just to monitor the environment. During his Senate confirmation hearing for secretary of state, Rex Tillerson said that China’s access to its artificial islands should not be allowed.